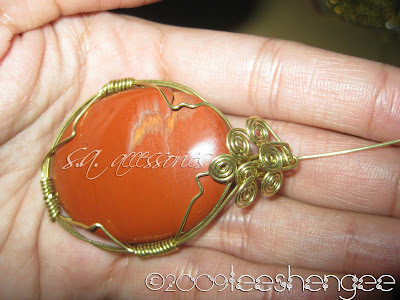 The Uncurated Life: Shen's Accessories: All Wired Up! Shen's Accessories: All Wired Up! 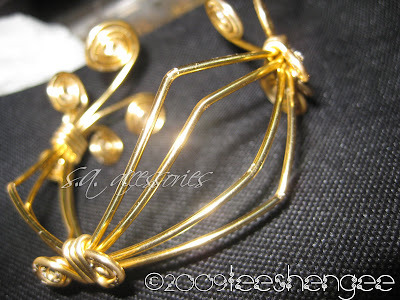 I've been revisiting my love for accessories for the past few weeks since my classes in Makeup School ended. I've been breaking out a lot lately that made it impossible for me to practice my skills. Idle minds and hands are the devil's playground so i found something to busy myself with. I love accessories. It all started in 2007 when I decided to make my own. I started creatingchainlink accessories. People started to notice and so I decided then to sell them online. But life or should I say blogging and makeup diverted my attention for a little bit so I called hiatus.on accessory business. 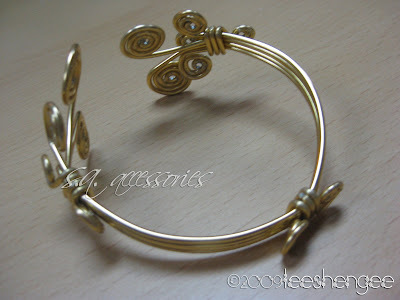 Now, I'm widening my knowledge and enhancing my creativity in making accessories. 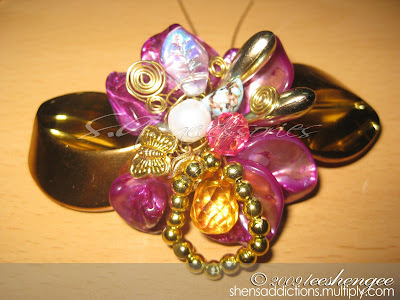 Good thing that a fellow-Ilocano who has the most amazing talent in making accessories offers seminars/modules in beading and advance wiring techniques. He's Em Mariano, a very popular accessory designer and mentor. He's been featured in several Filipino talk shows and magazines. The class I thought would be a quiet one. Impossible! Mr. Em lights up the room with his fabulous stories as well as with his colorful ways to tell them. He's a very funny person that learning didn't seem so intimidating as I thought it was. He made everything look easy to learn even though it wasn't because I could still feel my fingers throbbing as I type. The crowd of students were different kinds of women. This is what I love about that I do now, I get a chance to meet women who are very much empowered in their own way. There is Filipina at the class who apparently helps out OFW who have troubles with their employers. There is one as well who's creations will be sold in Powerbooks soon. To be in the presence of these women made me realize how right I am in pursuing my dreams. There is no reason to regret or to stop. Learning these fabulous things with these women just made it all the more fun and exciting. 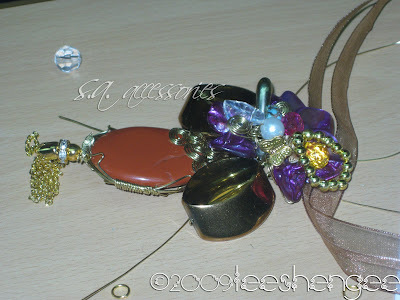 For someone who's been beading and creating accessories, I sure learned a lot from Mr. Em Mariano. His accessories are sought after by Filipino celebrities and his teaching skills are known in different parts of the globe. I just can't get over his talent! I want to pick his brains more and feature him on my blog. and can you imagine I was once a law student?? ?